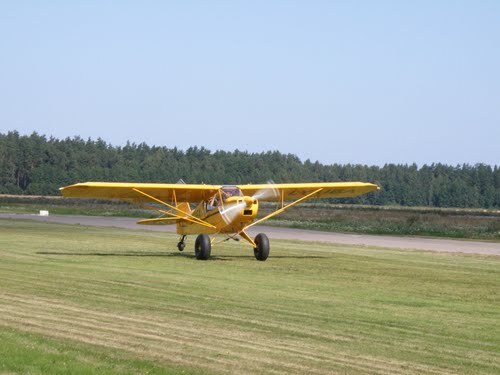 Ādaži air field (ICAO: EVAD) is an airfield 20 kilometers north of Riga, Latvia. The airfield was built by the Soviet Union in the 1975-1985 timeframe. It was used for agricultural activities by state-run Aeroflot. It consisted of a small runway and a single medium sized platform to the west of the runway. 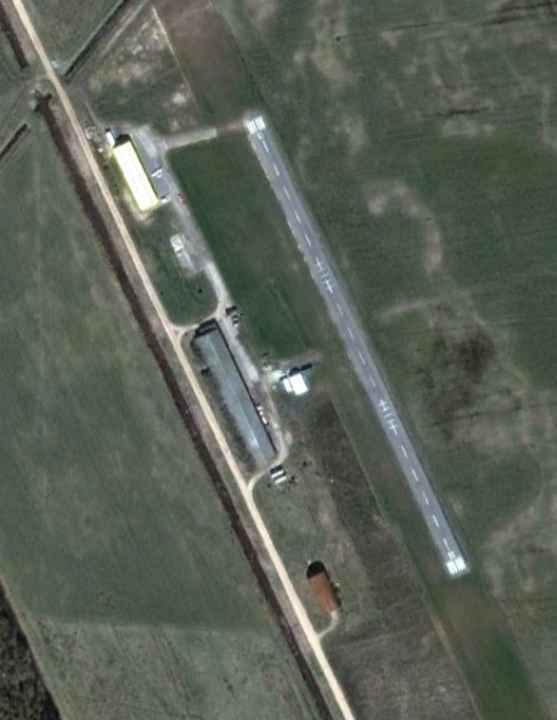 2002 aerial photo of Ādaži airfield (Google Earth). Latvian Airfields describes this airfield as 'one of the busiest VFR aerodromes in Latvia'. Since 2005 this airfield has grown up from a small unused agricultural airfield to a base for an air club and a flying school. Their hard work resulted in certification of the airfield in 2007. The owner, AvioRīga, has many plans for expansion of the airfield (such as increasing the length of the runway and amount of hangar space) and activities. Immediately next to the concrete runway now lies a longer grass runway. 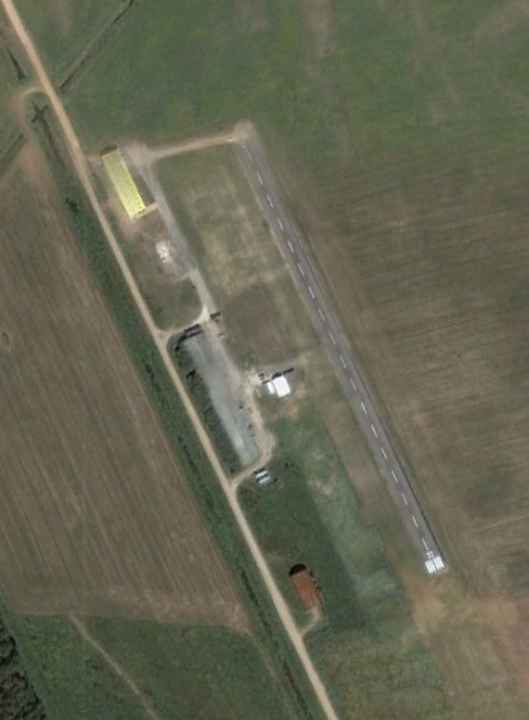 2007 aerial photo of Ādaži airfield (Google Earth). 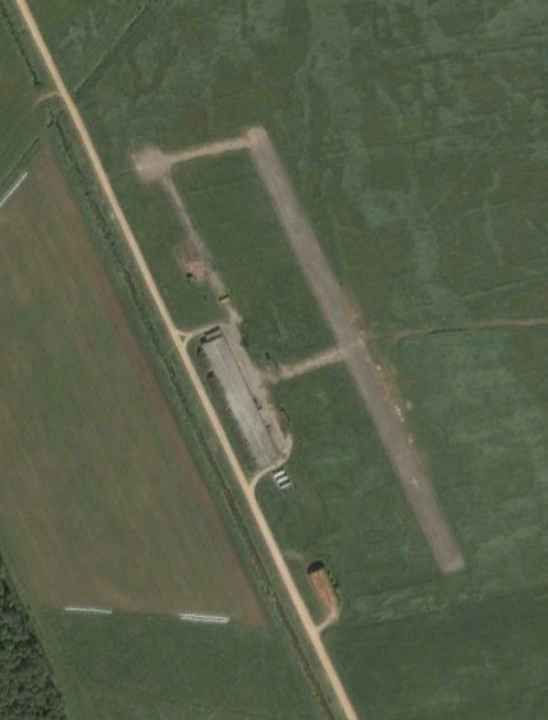 2008 aerial photo of Ādaži airfield (Google Earth). Landing on the grass parallel runway.